Ah, summer. Hot. Hazy. Lazy. Lounging under the shade of the trees in my back yard. Love it. As spring heats up and foreshadows the seemingly endless summer sunshine, I cannot help but think about what I want to read. Summer is the time to do it. I have to squeeze reading in between writing, preparing for the upcoming school year, being enchanted by the world with my three year old, and reconnecting with friends, family and my awesome husband. It’s doable, right? I love, love, love Gabriel Garcia Marquez’ works. And cannot wait to dig into this one. Abandoned love that lasts fifty years, nine months and four days? I’m in. This one will work towards the Back to the Classics Challenge 2012. Caribbean heat? A dark voyage? Jane Eyre’s Mr. Rochester? Sign me up! This will also knock off another Back to the Classics Challenge 2012 books. I read the first installment of the Kane Chronicles, The Red Pyramid, last summer. It was such a fun, quick paced read…I see many of my students reading the series and other Riordan books. Of course I’m continuing this series to connect to my students…not because I’m indulging the little girl in me in fantasies of magic and power…no, not at all. I don’t know anything about this book other than I found it in my “recommended” list on goodreads. The summary sounds intriguing…a lot like a few other books I’ve reviewed, The Physick Book of Deliverance Dane and Wildflower Hill. Looking forward to this one. That’s it. That’s the list. A bit sparse I’m sure for those of you who read a book a day (I know you’re out there)…I’m trying to be realistic because there are a billion other things I want to do this summer and if I make this list too long, I won’t do it. A book every two weeks seems to work for me, for now. I might finish the trilogies if I like them…promise to keep you posted. Any feedback on my list? What will you be reading this summer? 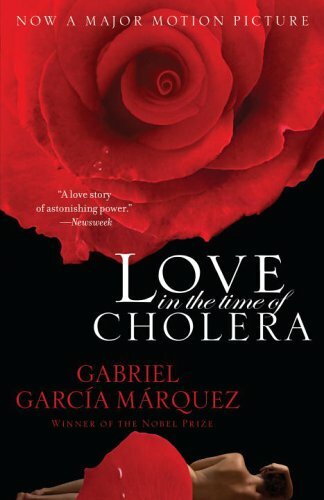 I love Marquez… Love in the time of Cholera is excellent…. I felt like I was on a vacation when I was reading it! Great! I can’t wait to get it started. I’m dragging my feet on my current reads, maybe knowing that better things await will give me the motivation I need to finish what I started so I can get on with Garcia Marquez. Thanks for reading! have fun reading this summer…. there is nothing like being curled up in your bed with a lovely book on a hot afternoon! Thank you. I can see myself now….will you be doing any reading? I have work all day so a few hours in the night is all i get… I am just finishing “At Home” by Bill Bryson after which I will pick “For Whom the Bell Tolls” by Hemmingway. Cool. It’s tough to find time to read when the day is spent at work. Getting any reading in is good…I think it helps me stay sane. I’ve been on the fence about Fifty Shades of Grey too. I’m slightly turned off because I heard it is based on a fan-fic of Twilight… but I DO kind of want to see what the fuss is about too. Yeah, those “children’s” novels really are good, aren’t they? Thanks for the tip on the 39 clues…will look it up. I’m sure I just have to ask my students. I was weary about putting fifty shades in there…only one way to find out. Will ask them on Monday. Oh good! I know I *should* have already read Love in the Time of Cholera (did my undergrad in comparative literature) but GGM intimidates me. I did read 100 Years of Solitude a long time ago and the whole thing kind of eluded me. If I read this I’m sure I’ll have lots of questions for you! Wide Sargasso Sea sounds amazing!! I will definitely look for this at the library/indigo. 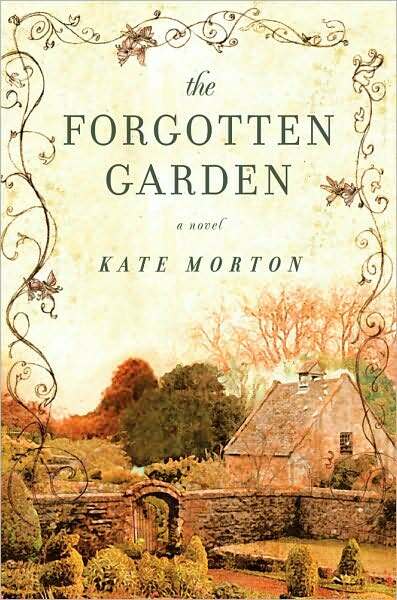 I’ve read the Forgotton Garden and I really liked it! It was a quick read with some good twists. Look forward to reading your take on all of these! I’ll try to follow along. Thanks for trying. I know it’s hard to find reading time with a family pulling you in every direction. 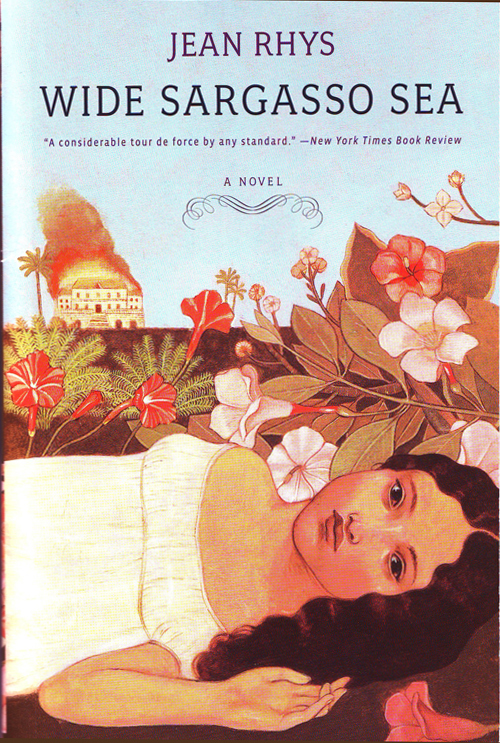 I will have to re-read 100 Years of Solitude one day because I’m sure I didn’t grasp most of it either – but Garcia Marquez is such a beautiful writer…give Chronicle of a Death Foretold a try. Short, eloquent and will challenge you too. Thanks for reading! Just started The Murderer’s Daughters a few days ago. So far I really like it–it hooked me in the first couple pages. Met the author at Backspace last week–she was super nice (and funny). Sounds intriguing. Who’s the author?